Limbs 4 Kids | Win a copy of the ‘Little Miss Jessica Goes to School’ book! 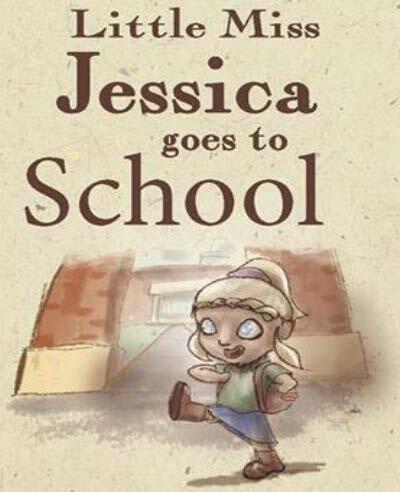 Win a copy of the ‘Little Miss Jessica Goes to School’ book! Jessica Smith has kindly donated a signed copy of her book ‘Little Miss Jessica Goes to School’ to Limbs 4 Life and we would like to give this to one of the children in the Limbs 4 Kids community. Jess is a former Australian Paralympian swimmer who was born missing her left forearm and this is her first children’s book. Her book is about a little girl with one hand, who goes to school for the very first time and experiences what it feels like to be ‘different’. The book, although targeted at a younger audience, contains many crucial messages for young people as well as adults, about body image, self-acceptance, tolerance, difference, friendship and respect. For more information visit Jessica’s website. To win a copy we are asking that children tell us in 50 words or less what their first experience at attending kindergarten, pre-school or school was like. Children can write their own or ask parents to write their story down for them. Please email your child’s story to us at kids@limbs4life.org.au by the 20th of July. We will publish the winner in the next edition of Thrive magazine.